Are you suffering from pain in your arches that is sore and tender to the touch? This could be a sign that you have plantar fasciitis. Keeping weight and strain off your arches by correcting biomechanical imbalances in your feet is the most effective treatment for plantar fasciitis and these insoles do just that! Rigid arch support that keeps your foot in the optimal position helps to eliminate excessive pronation a leading cause of plantar fasciitis. Perfect for people who are on their feet for long periods or suffer from arch and heel pain. Arch support also helps to better support your arch and prevent straining and overstretching your plantar fascia. 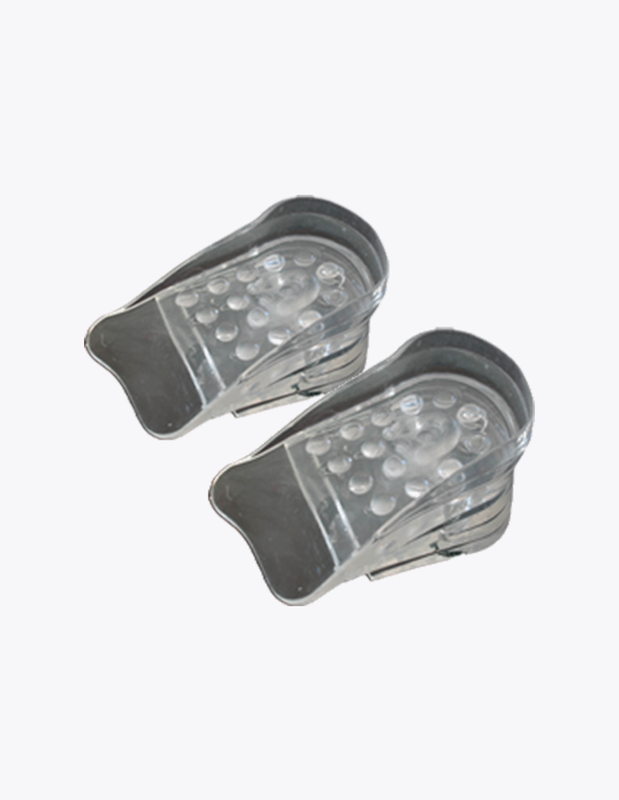 Inbuilt metatarsal pads support the metatarsal bones and the ball of your foot helping to get rid of the ball of foot pain. Shock absorbing materials help to deplete shock making these insoles perfect if you are a runner who wants to avoid shock damaging your feet. Heel cup technology holds your heel in place improving balance, stability and prevents twisting and spraining of your ankle. Orthotic compression realigns the ligaments, tendons, joints and bones in your feet helping to make your feet function better and more efficiently. Each insole is made from shock-absorbing materials providing comfort and protection to your whole foot. Pronation control technology helps prevent overpronation and supination (under-pronation) from damaging your feet when you walk. We are so confident in our insoles that we offer a full 30-day money back guarantee. Which means if you are not 100% satisfied with your new insoles or they fail to treat your plantar fasciitis you can return them to us within 30 days of receiving them. We will then give you a full refund. No questions asked. How can insoles help you? Can these insoles help cure plantar fasciitis? These insoles support and protect your feet and are ideal if you suffer from plantar fasciitis. Plantar fasciitis is an overuse injury that affects the plantar fascia ligament found in your foot. If you have plantar fasciitis you will experience mild to severe foot pain in the arch and heel of your foot. The arch of your foot is formed by a ligament called the plantar fascia. This ligament is designed to support your foot as well as shift weight and propel you forward as you walk. It is also one of the strongest ligaments found in your body. Continual shock, pressure and overstretching to the plantar fascia can damage this ligament resulting in pain and inflammation. When this occurs it is to as plantar fasciitis. This foot condition can also make you unable to walk as your foot will not be able to support your body weight without causing pain. If you have plantar fasciitis one of the most common causes is that you have a biomechanical imbalance in one or both of your feet. Biomechanical imbalances affect the function of your feet resulting in excessive strain and pressure that can damage them. One of the most common biomechanical imbalances is overpronation. Pronation is a natural part of the gait cycle and occurs when your heel strikes the ground and your foot rotates inwards. Overpronation is when the foot rotates inwards and excessive amount, this can cause the plantar fascia to become overstretched and damaged. It should be noted that biomechanical imbalances in your feet can have a significant effect on your overall posture and can cause problems and pain in other parts of your body such as your hips and lower back. Which means getting rid of any biomechanical imbalances even if you do not have any foot problems is important. Biomechanical imbalances are not the only cause of plantar fasciitis other things such as obesity, wearing poorly fitted shoes or having flat or high arched feet can affect your foot function or place the arch under greater strain leaving you at a greater risk of developing plantar fasciitis. These arch support insoles can be used to help treat plantar fasciitis and help you get back on your feet. 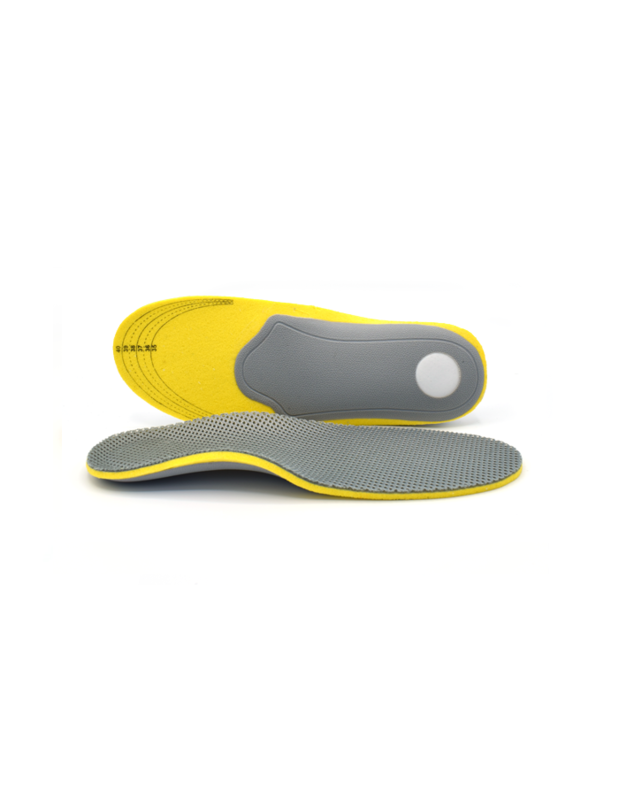 The insoles are ergonomically designed to realign and correct the function of your feet. 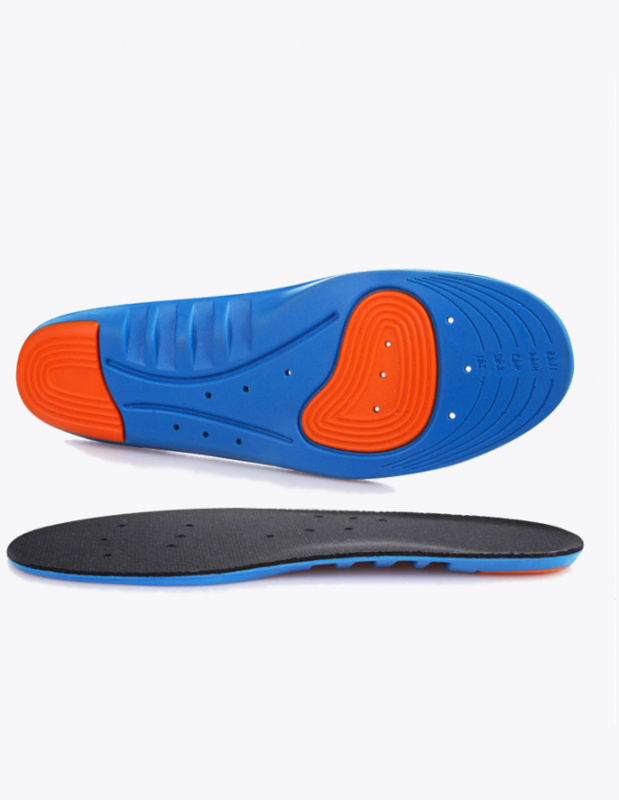 One of the ways that these insoles do this is by utilizing inbuilt arch support. Arch support will help take the strain off your plantar fascia and prevent excessive pronation in your feet during the gait cycle. This can help to ease your plantar fasciitis pain, boost recovery and make sure that your plantar fasciitis does not come back. Another thing that these orthotic insoles do is protect your feet from shock. When you have plantar fasciitis the plantar fascia’s ability to properly absorb shock and protect your foot from damage is inhibited. Orthotic insoles are made using medical grade shock absorbing materials to prevent shock from further damaging your feet whilst you recover. Are these insoles just for people with plantar fasciitis? No, not at all! These insoles are ideal for anyone looking to improve the function and overall health of their feet. These insoles are designed to tackle a whole range of different foot problems. 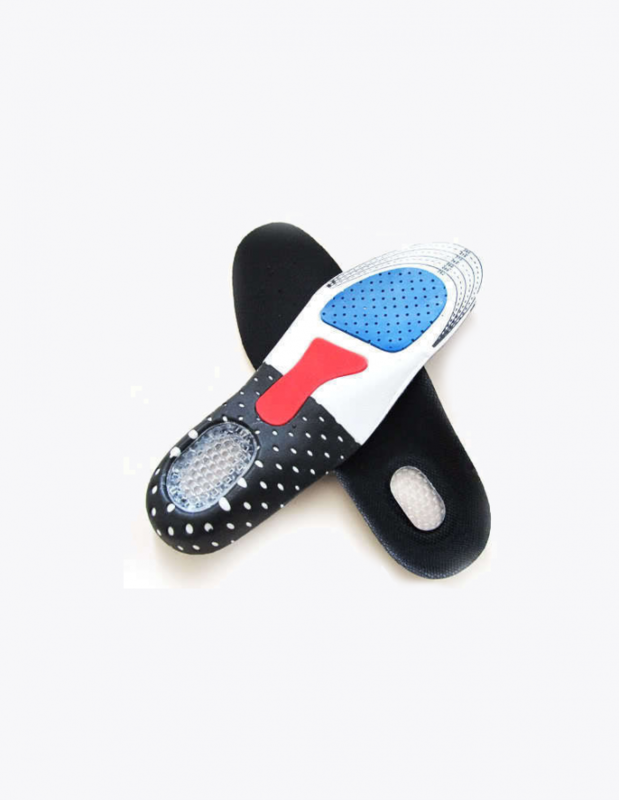 Even if you do not have any particular foot injury or complaint wearing these insoles will help to improve the comfort of your shoes and help you to better look after your feet. What shoes are best to wear these with? You should make sure that you wear these insoles inside shoes that are not tight when you wear them and have plenty of room for both your feet and insole. Make sure that you also wear shoes that have a wide toe box, a support base and have a heel no higher than 2 centimeters. Yes, they will! If you have flat feet it means that you are more prone to developing imbalances causing overuse and excessive pressure and load on your arches which can lead to injury. 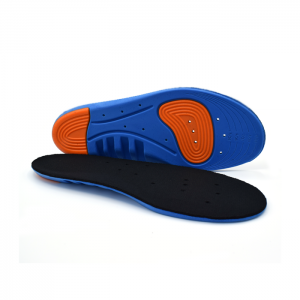 These insoles have been equipped with an orthotic arch support that helps to hold your arch in the correct place easing tension in your arch and making sure that your arch does not become damaged. I suffer from ankle instability will these help me? The inbuilt heel support will cup around your heel and Achilles tendon helping to improve the stability and balance in your heels and ankles. Orthotic compression will help to support and strengthen the supporting muscles in your ankle making them ideal for treating ankle instability. What if these insoles are not for me? Can I return them? If you are not 100% satisfied with your new pair of insoles then you are free to return them to us within 30 days of receiving your order. Simply send them back to us using the return address found on the package with a note indicating who you are and we promise to give you a FULL refund. If your are looking for some shoe inserts that will make your running shoes feel amazing the get these. I don’t have plantar fasciitis or anything like that but I wear these inside my running shoes all the time because the level of support that they give your feet is unbelievable. Also I really like the shock absorption in these soles as since wearing them I have had no problems at all when running on hard surfaces like tarmac. For £10 you really cannnot go wrong. Just make sure you buy the right size or else you have to cut them out by hand which can be a bit annoying. These insoles are pretty good and are definitely worth buying if you have plantar fasciitis like me. I have plantar fasciitis in both of my feet and it has been a real bother to put it lightly. I used these insoles to ease my PF and they have done a great job. I used get really tight stabbing pains in my arches but that has totally gone since wearing these in my shoes. My doctor told me that my PF was down to my overpronating when I walk. After 2 months of wearing these soles I went back to my doctor and he confirmed that my feet no longer pronate, which is great news! As my feet no longer pronate which means that when my feet do fully heal I will not get PF again. The only downside is that these insoles if you are wearing them everyday they will wear out pretty fast especially the arch support which means you have to replace them every 2 months or so. I got plantar fasciitis whilst running.. it was horrible and left me unable to walk. After trying just about everything to ease the pain when walking I finally found these things and they are fab! These insoles do a perfect job at supporting my feet and my feet feel so much better with them on. I have seen massive improvement in my feet, although I’m am not fully recovered yet I am definitely on the right track now. I have been suffering from plantar fasciitis for months now and it is only after wearing these things in my shoes that my pain has started to ease. The arch support is just amazing as it really does hold your feet in place and stop them from straining and over stretching when you are on your feet. I also really like how these insoles absorb shock too.. when you have plantar fasciitiis every little bump and shock when walking can cause pain and damage to your feet but with these inside my shoes I don’t get this any more. Would definitely recommend these to anyone even if you do not have plantar fasciitis wearing these will make sure you never get it!